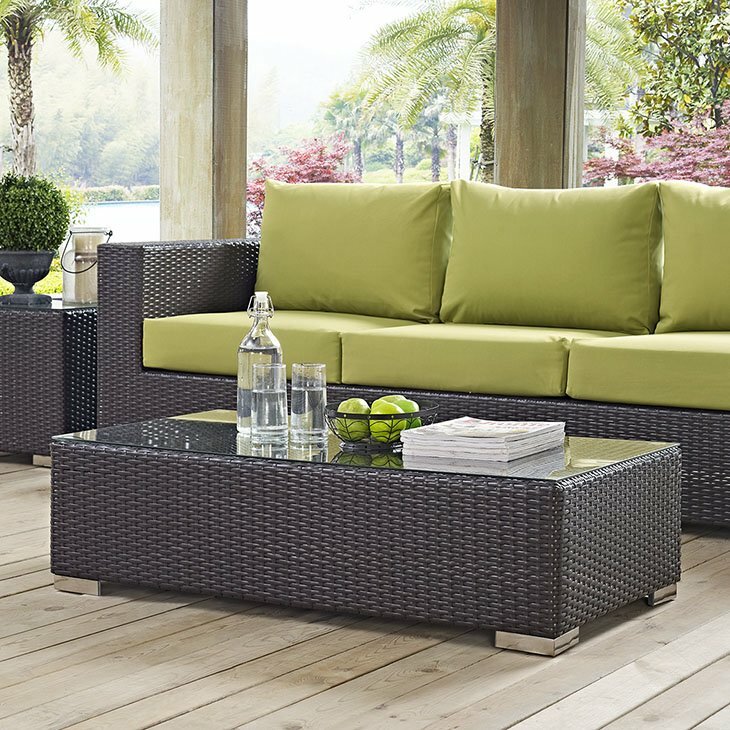 Gather stages of sensitivity with the Convene outdoor sectional series. Made with a synthetic rattan weave and a powder-coated aluminum frame, Convene is a versatile outdoor collection that shifts and combines according to the spontaneous needs of the moment. Outfitted with all-weather fabric cushions, leave a positive impression on friends and family while enhancing your patio, backyard, or poolside repast in this series of palpable distinction. 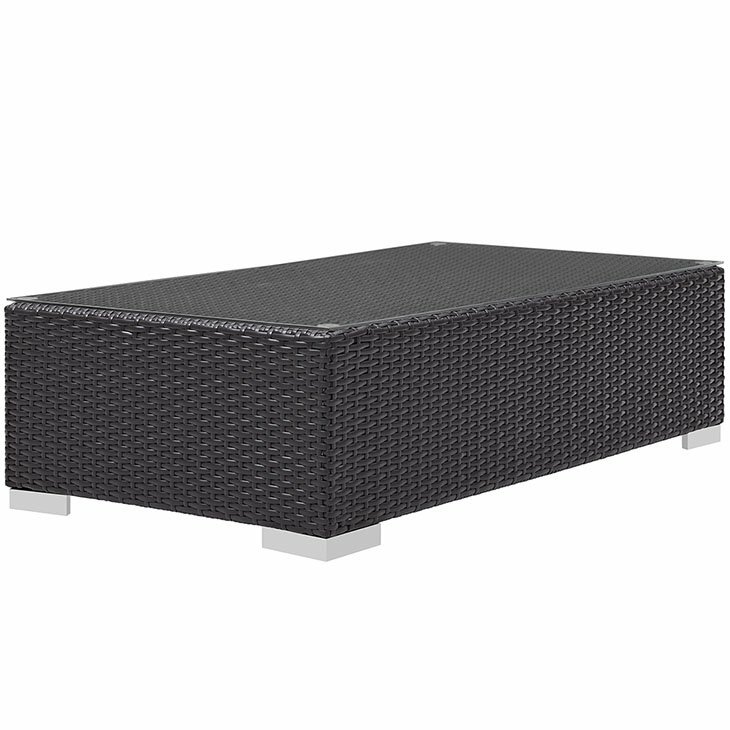 This installment of the series is an Outdoor Patio Coffee Table.